Why Spring Boot? What Spring Boot is used for? Spring Boot idea is very simple. It provides pre-configured set of functionality and framework with you could publish your first Spring Boot based Web Application with just few lines of code. Just with simple one command you could launch and test your web application. Set of all custom configurations, Database setups, 3rd party modules comes out-0f-the-box in Spring Boot. Like we have very popular Hello World Spring MVC tutorial, we will also start our Hello World Spring Boot tutorial similar way. In order to get started with Spring Boot, you are going to need below setups. JDK 8. Make sure you download and install latest JDK. Once you install Eclipse on your Laptop / Desktop, go to Eclipse. We are going to create new Dynamic Web Project. 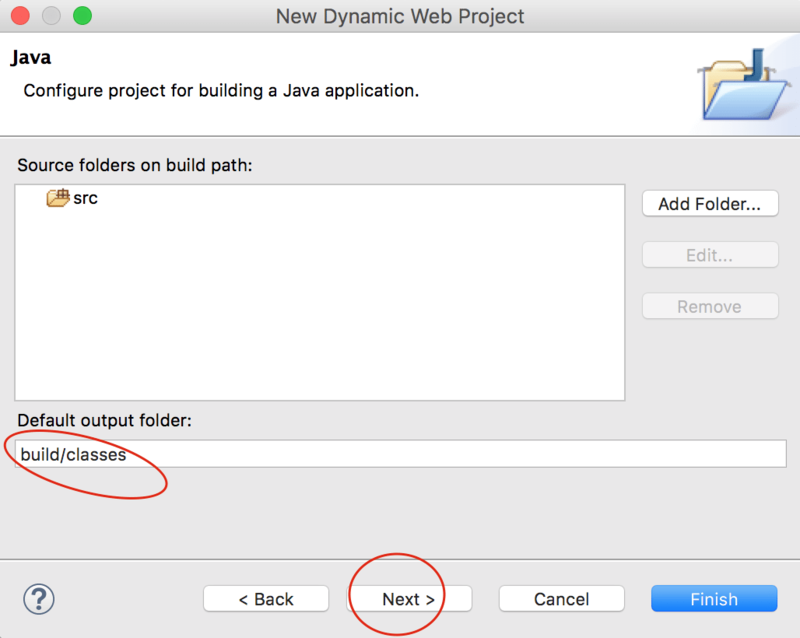 Make sure you have Dynamic Web module version to 3.1 and Target runtime Apache Tomcat 8. 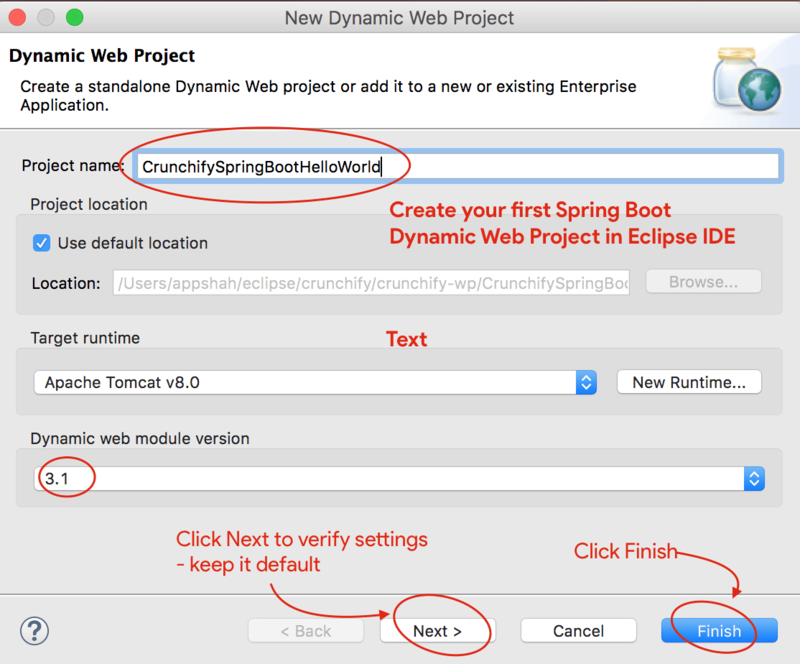 If you don’t have Apache Tomcat setup already then follow these steps to setup Tomcat in Eclipse. Click on Next two times and make sure settings are same as these one. Screenshot1, Screenshot2. OR click on Finish to create Dynamic Web Project. Next step is to Convert Java Project to Maven Project. Above step will create pom.xml file for your project. Next step is to update pom.xml file with below content and add Spring Boot Dependency. // and configure beans that you are likely to need. // main method. By default class will perform the following steps to bootstrap your application. 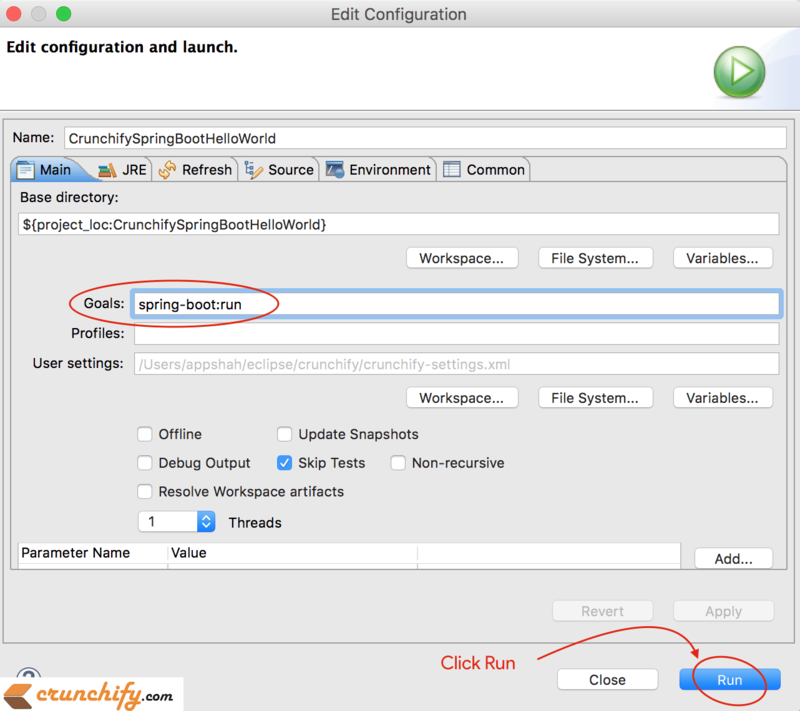 Now using simple spring-boot:run maven command you could start your Spring Boot Application. Next Windows keep default configuration and provide goal as spring-boot:run as you see in below image. Make sure you don’t have any error in Eclipse console. Here is a console output from Eclipse IDE. Now visit URLs http://localhost:8080 and http://locahost:8080/crunchify to see live result. 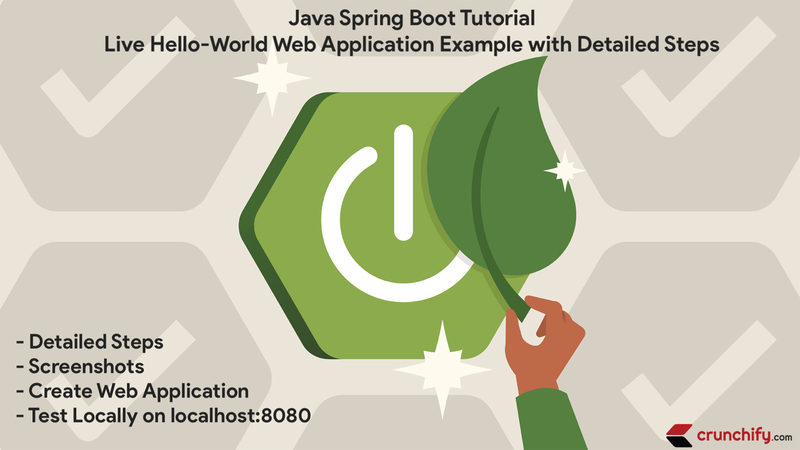 Hope this tutorial helps you get started with Java Spring Boot example. Let me know if you see any issue running your first Spring Boot application. 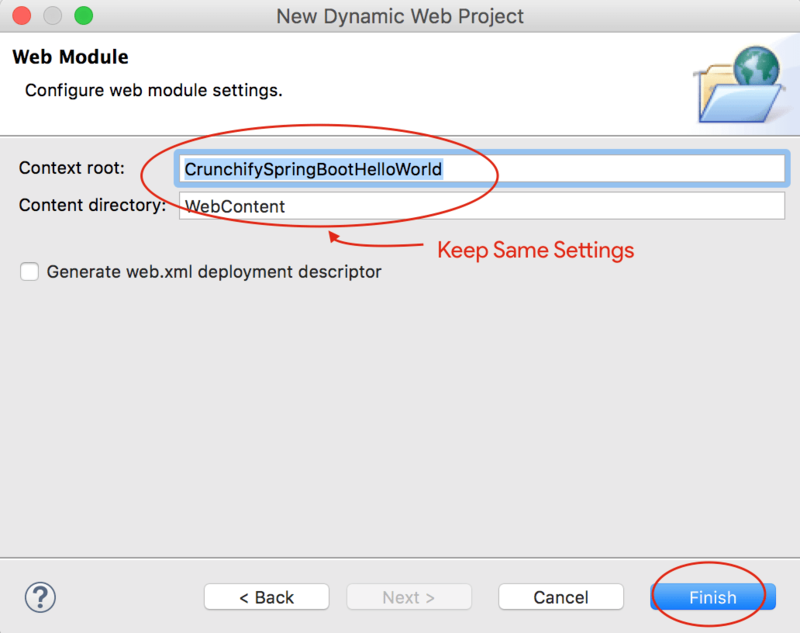 In the coming weeks, we will add more and more complex Spring Boot Examples for your. If you have any special requirements then let us know in comment section.